A two-alarm fire tore through a detached garage in El Cajon Friday, doing about $200,000 in damage but injuring no one, authorities said. The fire was reported at 4:45 p.m. in the 2300 block of Charles Way, Sonny Saghera of Heartland Fire & Rescue said. The fire spread to an adjacent fence and some trees and also ignited two vehicles in front of the garage, Saghera said. Firefighters contained the blaze in 18 minutes. A man inside the main residence got out before firefighters arrived. 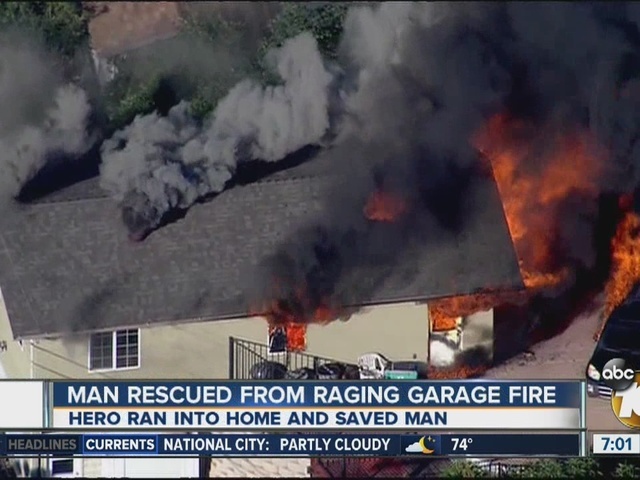 "The garage contained a T-shirt printing shop with living quarters above it," Saghera said.